This past weekend thanks to the Rocky Mountain Elk Foundation, the Outdoor Dream Foundation, Stimson Lumber Company, the Tillamook Chapter of RMEF and many volunteers, I was honored to share an incredible hunt with a 13 year old boy named Wyatt. Wyatt is from South Carolina and was born loving the outdoors. He has been fishing with his father long before he could even walk. At the age of 2, Wyatt was diagnosed with acute t-cell lymphoma and underwent two years of treatment. Thankfully, today Wyatt is currently in remission from cancer. The Outdoor Dream Foundation contacted RMEF corporate headquarters to help make Wyatt’s dream Elk hunt a reality. The local Tillamook OR chapter stepped up to also help make that dream a reality by arranging lodging, meals and volunteers that made this trip feel like coming home. 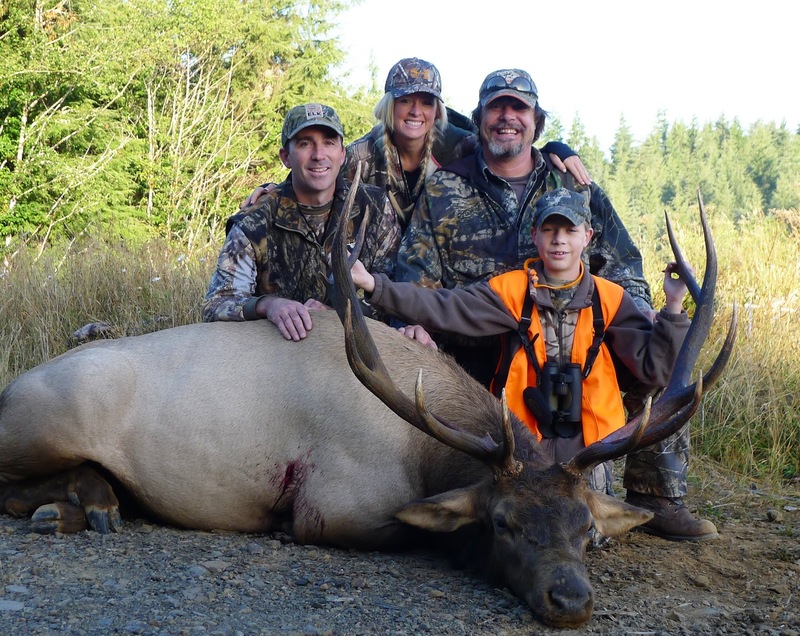 Stimson Lumber Company provided the ground to which Wyatt was able to hunt elk and some fantastic guides and mentors. The expenses for Wyatt’s flight as well as his mother Crystie and father Darrin were also covered by RMEF and the Outdoor Dream Foundation. 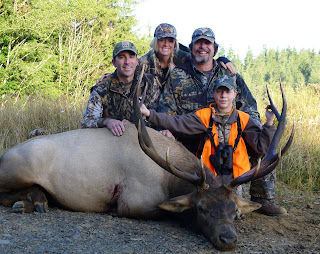 Team Elk was able to support Wyatt with gear from many of the show’s sponsors even including a new .308 from Browning! Outside supporters include Tim Christensen from Christensen Taxidermy for donating a shoulder mount complete with delivery to Wyatt’s home in SC. Realtree donated Wyatt’s clothing, Columbia River Knife donated a knife with case and Jerry & Morna Bastain hand-made Wyatt a very special quilt with the RMEF insignia. On Saturday September 1st, Wyatt’s dreams of harvesting a Roosevelt Elk came true when he took aim on a beautiful 6x7 bull scoring just over 290. I cannot begin to explain the gratitude that Wyatt and his parents felt. Through thick and thin this family has stuck together to over-come the battle for Wyatt’s life. To see them all together with a light hearts, smiling, laughing and enjoying the Western outdoors disease free was something that I will never forget. A big enough thanks cannot be given to those who support the Rocky Mountain Elk Foundation, Team Elk and the Outdoor Dream Foundation. Without all of you and the countless volunteers, these dreams would not become a reality for kids like Wyatt. Together, we are ensuring the continuation of our hunting heritage and a legacy that will last forever. Click here to view the entire photo album. Dakota Prairie Outdoors Radio Show Nov.
Dakota Prairie Outdoors Radio Show Sept.